The True RMS Multimeter MTX 3281B is equipped with a graphic display. The True RMS multimeter has a bandwidth of 20 kHz. Up to 4 measurement values with up to 100,000 digits can be shown on the display of the TRUE RMS multimeter. The measurement value will be shown on the True RMS multimeter as a numerical value as well as a digital bar graph. 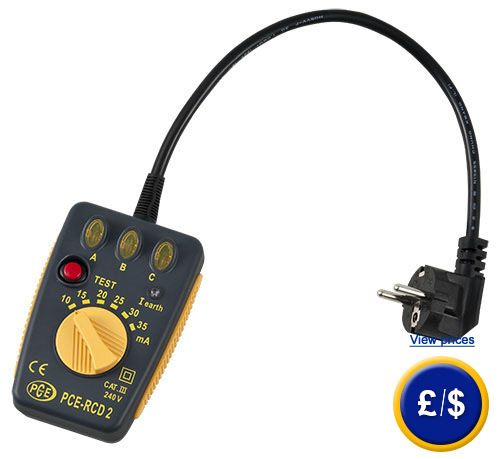 Besides a measurement memory the True RMS Multimeter MTX 3281B has an optical isolated PC interface or a Bluetooth connection. A further feature of the True RMS multimeter is the folding display; therefore it is easily readable in every situation. Besides the multilingual menu, a user’s manual in 5 languages is available. The True RMS multimeter has a basic accuracy of 0.1 %. All measurement functions have the auto-range function. The True RMS multimeter does frequency measurements with a frequency up to 20 MHz. The True RMS multimeter is charged via internal battery and can also be charged via the charger included in delivery. If there are any questions about this True RMS Multimeter MTX 3281B have a look at the technical specification below or call: UK customers +44(0) 23 809 870 30 / US customers +1-410-387-7703. Our technicians and engineers will gladly advise you in all multimeters and all products in the field of measuring instruments, regulation and control and scales.